I was lucky enough to sit down with Andy Green, a Professional Sailor and Sailing Commentator for sailing events from all over the world. He took some time during his busy schedule at the America’s Cup in San Fransisco, to share with us bit of his personal history, how he got started into sailing and his thoughts on America’s Cup 34. This is Part I of our interview. T: Where are you from originally? A: I grew up sailing on and island in England called West Mersea and then moved to Lymington in the south of England. Coastal Towns around England. T: What was your first boat you sailed on? Did you start out as a youth? A: I started sailing at the age of 5 with my dad in a 2 man keel boat that he had. Then I started sailing optimists when I was seven. T: I started out sailing in high school on some Hobie 14’s. What got you into the big game? A: I started sailing and competing at the university. I did a lot of team racing and that led very easily onto match racing. I matched raced or 10 years and went on to racing in two America’s Cups. Then from there we went on to trying to put together Team Origin, which didn’t work out so well. After 2007, I worked with the South African team Schoscholoza. Since then, I have been sailing professionally, and working as a sailing commentator on TV at different events around the world. T: You’re lucky to make a living at sailing, that’s great. A: I am constantly grateful I have a job I love doing. T: I heard that you like sailing Fireflies, is that right? A: Yes! A lot of my match racing and tactical skills come from team racing in small boats. Small amounts of wind shifts make quite a big difference the slower you’re going. T: The Firefly, that’s an old English boat? A: Yes, an old Tubby boat, so you don’t get a lot of increased drag with more weight you have in the boat. They are often sailed by women crews. T: Did you make it to the Olympics last summer? A: I announced at the Olympics last summer at the north on the spectator viewing area. One of the highlights of my years last year. England did well, 1 Gold and 4 Silvers. We had 5,000-6,000 people every day at the venue, it was just spectacular. Everyone brought the Olympic spirit with them and it’s such an emotional roller coaster. The Olympics is great because there is a certain anonymity for 3.5 years and then there is an explosion of awareness of all these competitors. The pressure is intense and people can really appreciate the amount of time that has been put into these campaigns. 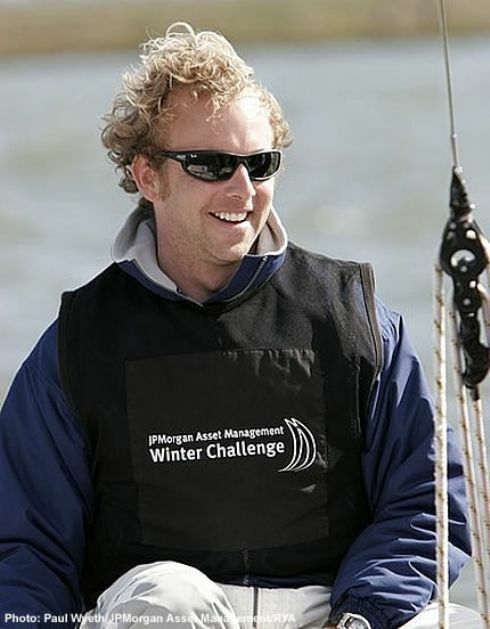 Tom Slingsby a couple of days ago was telling me how he was a favorite to win in China, but then won in Weymouth and his victory was just that much sweeter. How Does America’s Cup Work? I have heard him comment on some of the races and he is more than professional when doing so. You can hear his years of experience when he talks about a race or a particular technique one team is using. Thumbs up for this post!